Logos of JK Sixer - the official sponsor in the current season of IPL 2019, will flash on the back of helmets and caps of the squad. JAIPUR, March 22: After making a refreshed entry back into the IPL last season, the reenergized Rajasthan Royals are back in pink of health for IPL 2019 – literally. 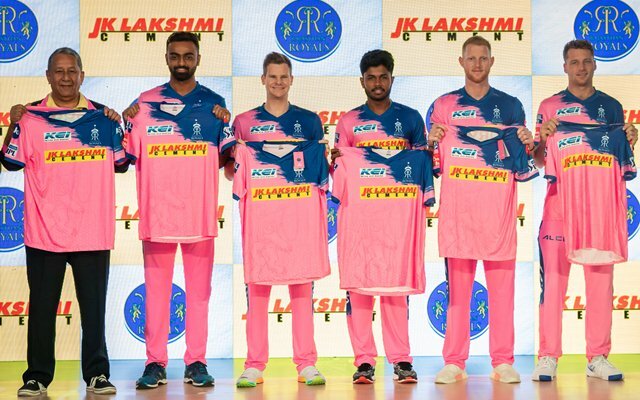 In their new pink jerseys – signifying their Pink City origin, bearing the logo of JK Lakshmi Cement– India’s leading cement major, for the second consecutive season; Rajasthan Royals is all set for a cracking show under the stewardship of captain Ajinkya Rahane, much charged up for the upcoming tournament. In this season’s renewed association of JK Lakshmi with the Royals; logos of JK Sixer – the official sponsor in the current season of IPL 2019, will flash on the back of helmets and caps of the squad. The team’s inherent strength, killer instinct, Buland Soch coupled with fast improvisation in its strategy is in sync with the philosophy of JK Lakshmi Cement Ltd., Dr Chouksey asserted. “Rajasthan Royals have shown the unmatched temperament last season and in this year it will come forth as stronger contender in the championship,” he said.